The Sir Philip Game Centre and the Timebridge Community Centre have been working together to bring The Aftermath Dislocation Principle (ADP) Riot Tour by James Cauty to Croydon. ADP was re-branded as The Model Village and installed in Banksy’s Dismaland in Weston Super Mare in 2015. The British artist James Cauty was the co-founder of The KLF and The Justified Ancients of Mu Mu and had a string of global top ten hits. The ADP Riot Tour is an experimental artwork touring sites of historic rioting in the UK. ADP will be at the Timebridge Community Centre in New Addington, Croydon from the 28th November to 5th December. 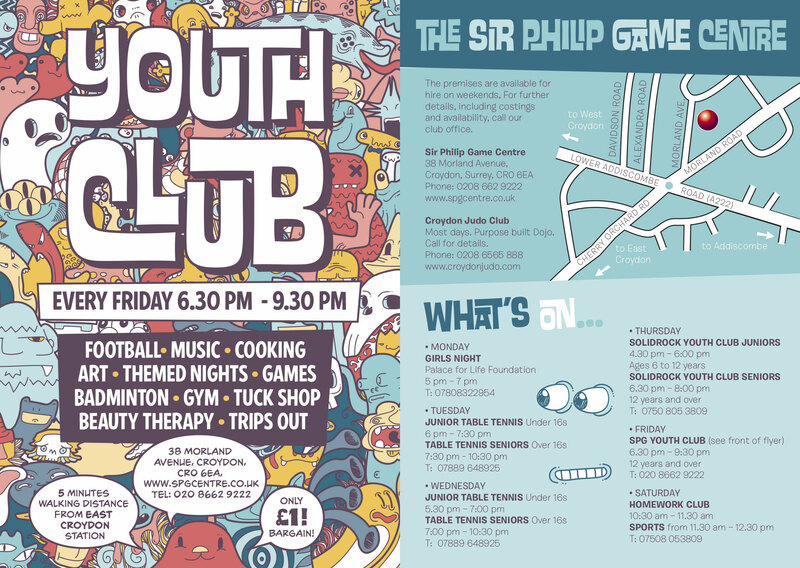 Friday 2nd December the Community Centre will be hosting an open evening for members of the public along with it’s regular Youth Club. This is a FREE event. ADP RIOT TOUR TRAILER V 2 from jimmy cauty on Vimeo. 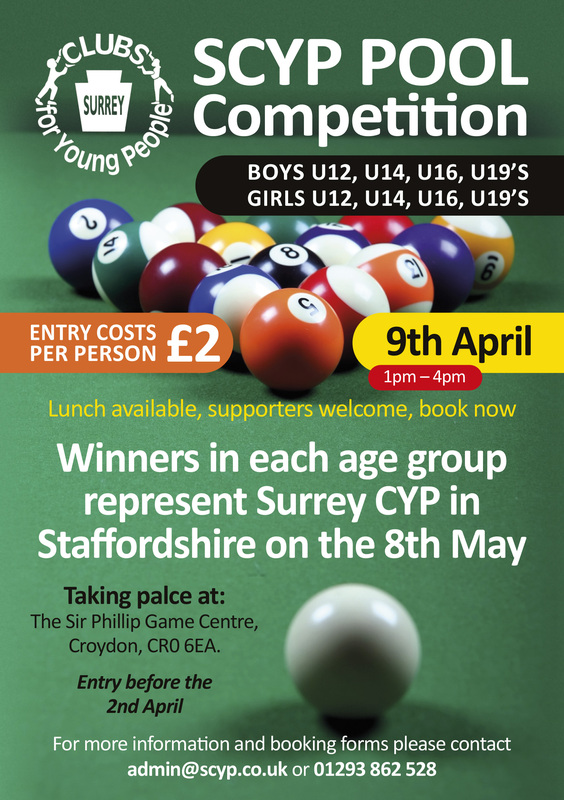 Surrey Clubs for Young People are hosting a Pool Competition. For more information and booking forms contact admin@scyp.co.uk or call 01293 862 528. One month’s training from 2nd April 2016. Kayak training, swimming and fitness tests. 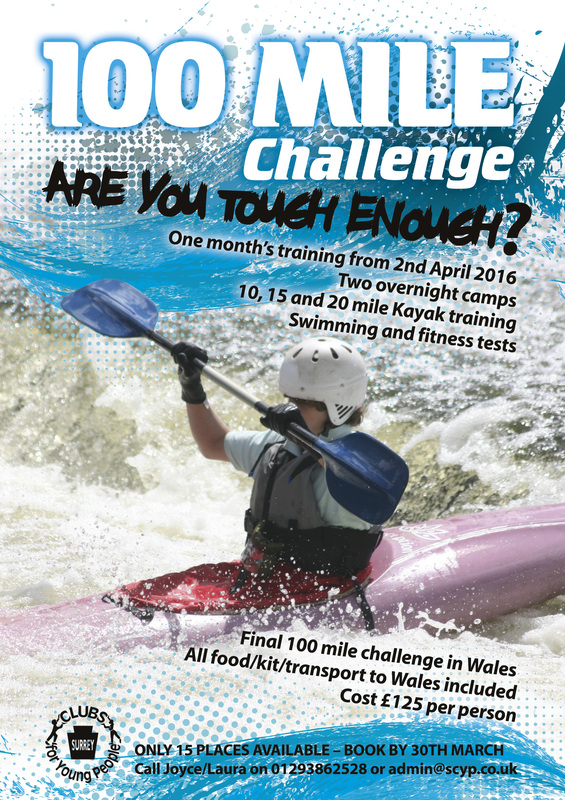 Final 100-mile challenge in Wales. All food, kit, transport supplied. It has been a long time, and it’s only for one night, but Boxing makes a welcome return to SPG! 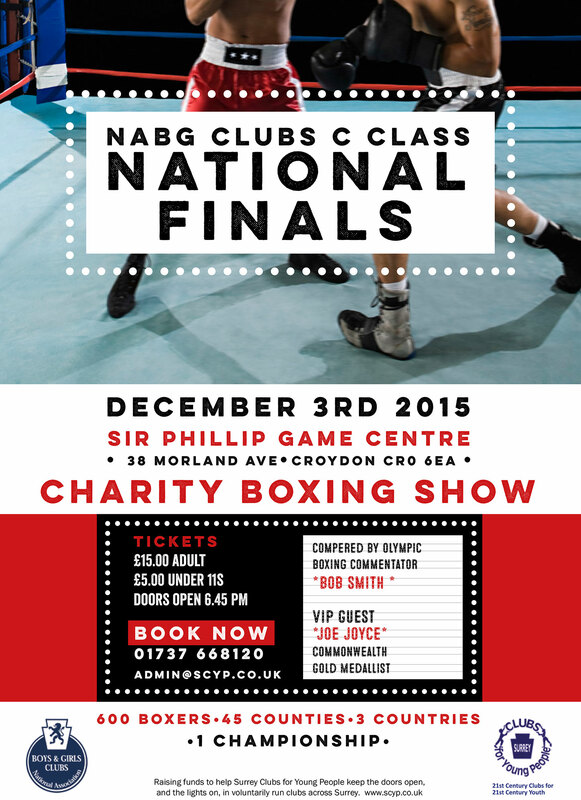 We are proud to announce that The National Finals of NABG Clubs C Class will be held at the Sir Philip Game Centre on 3rd December, 2015. 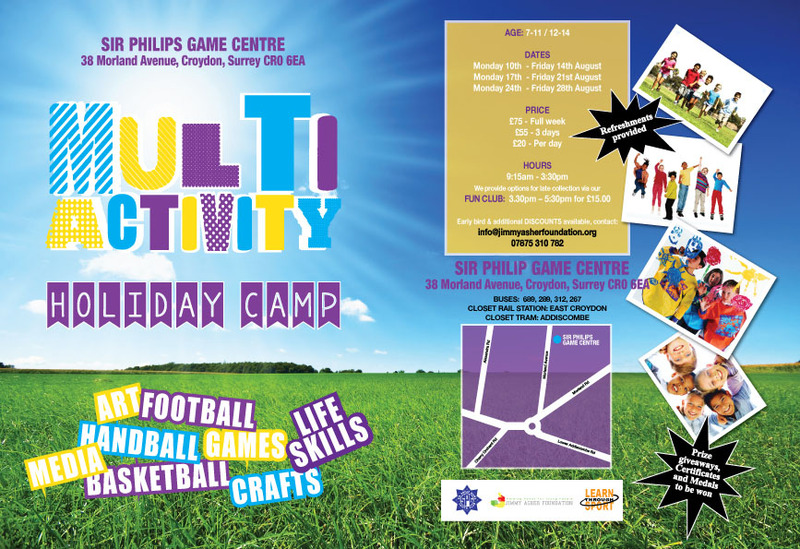 This summer the Jimmy Asher Foundation present Multi Activity Holiday Camp, 2015 at SPG. Crystal Palace will be holding FREE sports holiday courses for those aged 8 – 18. 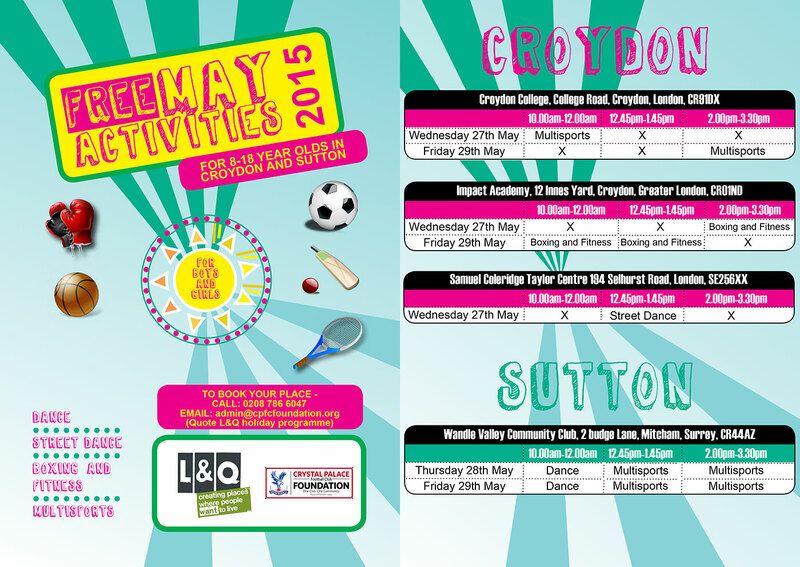 These sessions include Street Dance, Boxing and fitness and Multisports. Please see flyer attached for details on how to book or turn up on the day where registration details will be taken. South Croydon Table Tennis Club are pleased to invite you to come and take part in our FREE table tennis sessions. Age group: 13- 25 yrs. 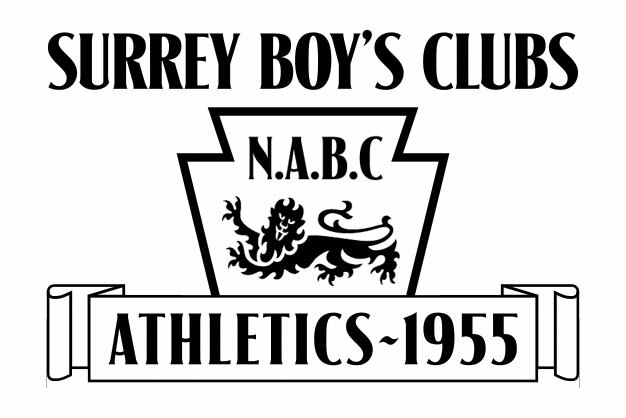 The 7th Annual Reunion of the ’50s Boys will be held on Monday 18th May 2015, at The Orchard Pub, Cherry Orchard Road, East Croydon, at 12 noon. For those who want to eat there is a menu. Paul Nihill will be arranging a raffle as per normal. If you have any small items you want to get rid of, please donate them to the raffle. If any of you have photographs from the last reunion or from before, bring them along or let Paul Nihill know. Please bring along your loved ones, friends and any former athletes you may know to support this Anniversary; the more the merrier. Have you ever felt you’d like to take a bash at a policeman? There is one place in the world where you can do so and get away with it, at The Sir Philip Game Boys Club. Check out the British Pathé newsreel.